We are thrilled to introduce Cliff D! 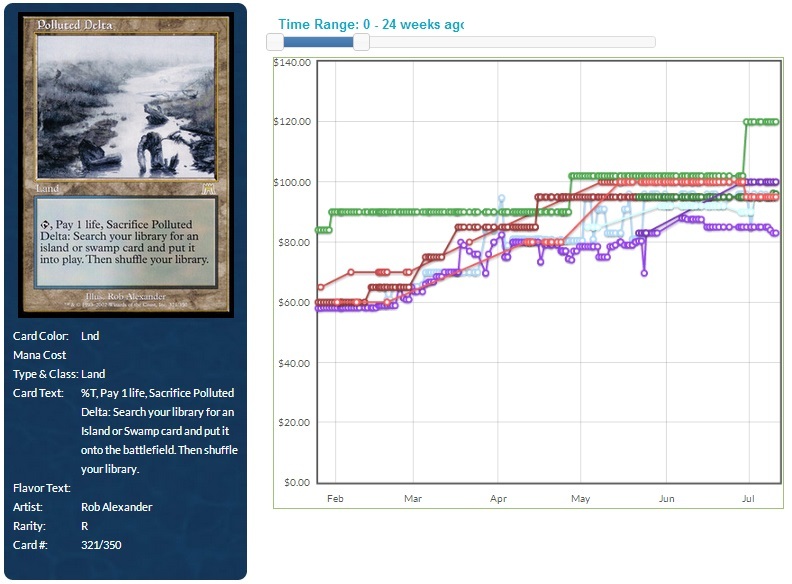 Cliff has managed to foil out an EDH deck on a budget and maintains a blog at wordofcommander.blogspot.com. Welcome Cliff! My name is Cliff, and I’m a Magic addict. I tell you this because as a husband and a father, it’s a big deal to have a hobby like Magic. It’s got the potential to be a very expensive hobby, and I’ve spent years figuring out how to spend the least and get the most of what I want. Today I want to share one of my best tips with you, something that has kept me from spending too much on this game I love a little too much. 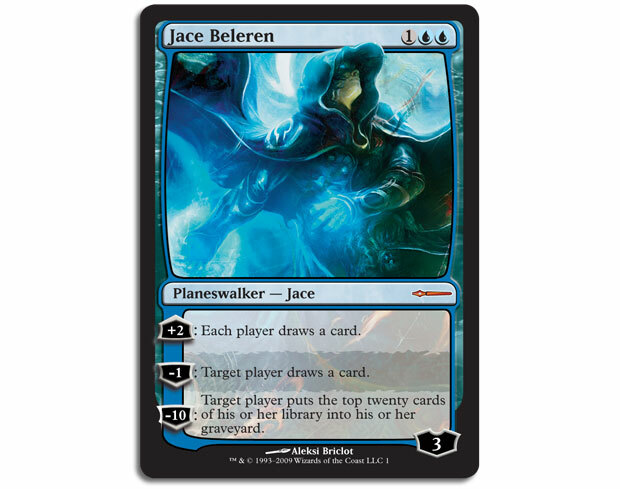 In one sentence, here it is: Trade everything you open at the prerelease. This goes against everything in my nature as a casual player. I have nine EDH decks, and with every new set, there’s some maintenance I have to do. So my urge, and probably yours, is to get things as soon as possible, to get that upkeep done and the decks finished. Don’t do it! 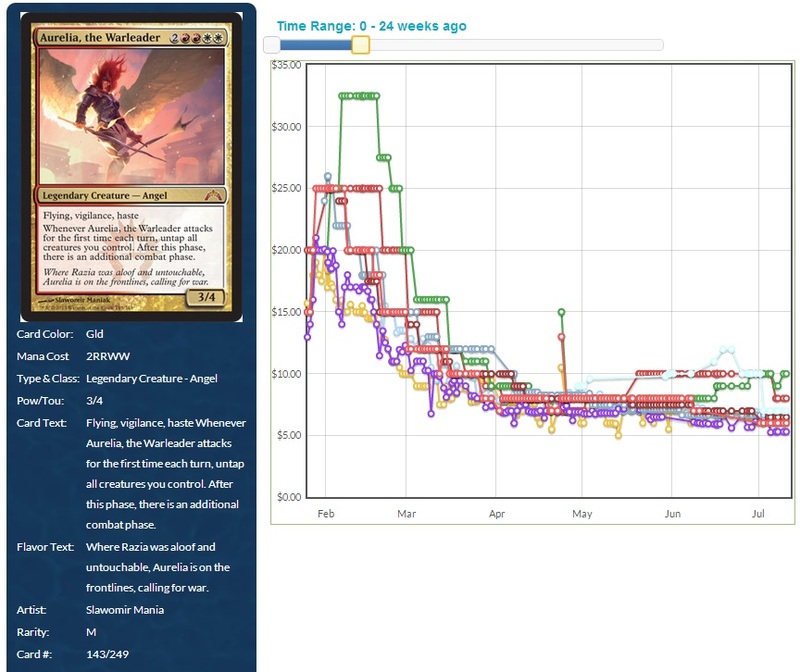 There is evidence, all over this site, of cards that opened big and didn’t ever get more expensive than they were the first week. That week is now, and you need to cash in. 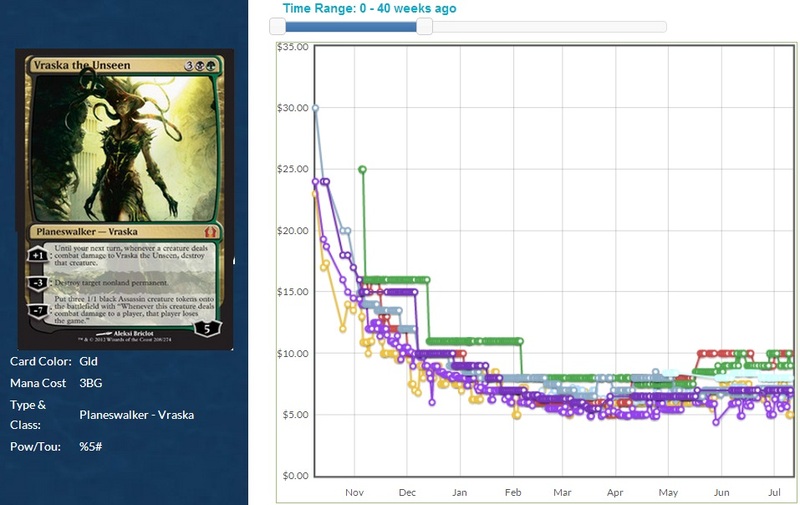 For example: At the Return to Ravnica prerelease, I opened a Vraska the Unseen. 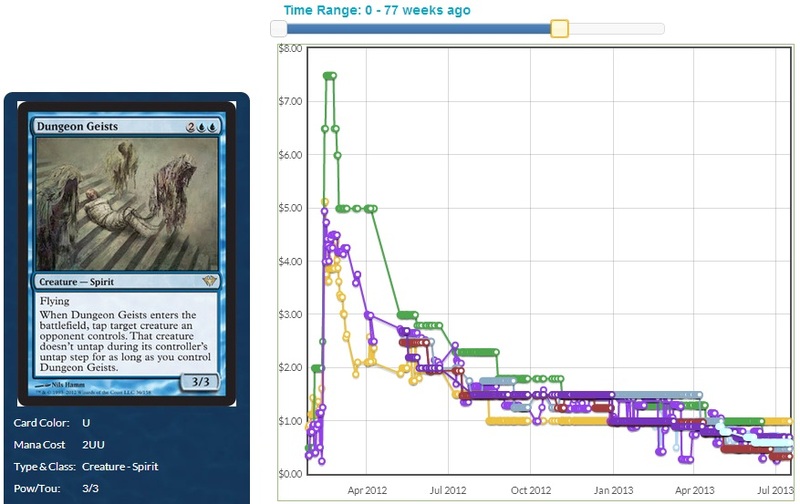 After tearing up matches with it, I traded it for a pair of Abrupt Decay and a Guildpact Stomping Grounds. 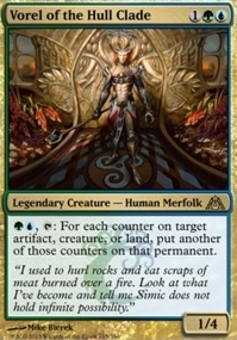 Now, I’d be even trading the Vraska for a single Decay. 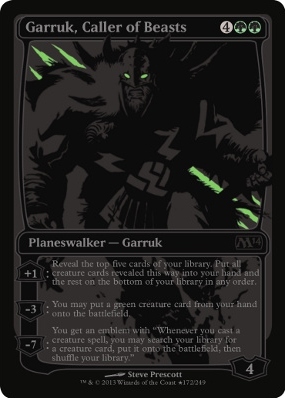 Vraska the Unseen. Oct 2012 – June 2013. If you have to have four of a card for that following FNM, so be it, but let me tell you, you don’t want to be the guy trading super-hard for Rise of the Dark Realms at the prerelease. Almost everything in this set, and every other set, will go down in price within a couple of weeks. Our most recent example is classic: Dragon’s Maze has very few cards worth more than the cost of a pack at retail, so I hope you got rid of them all when you opened them. 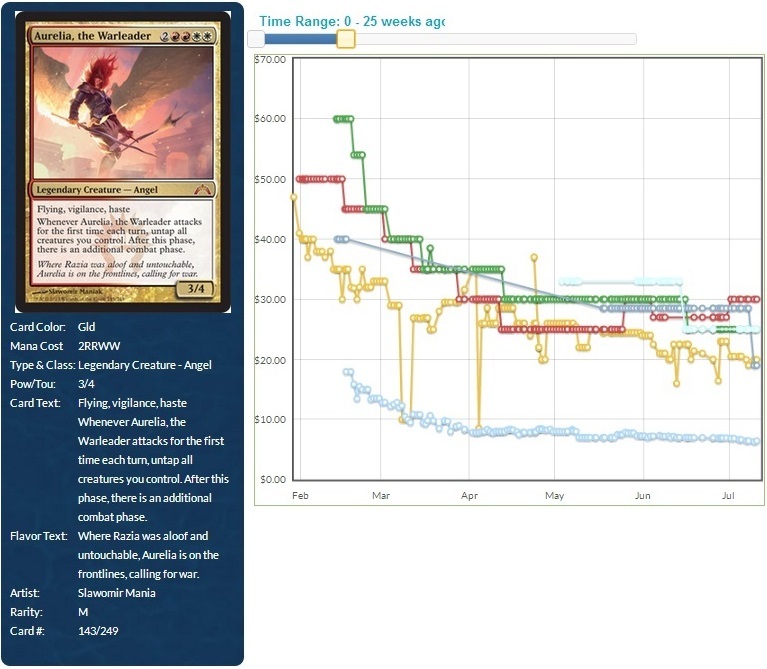 Magic 2014 looks to be similar. There’s a lot of awesome casual cards in this set, and most of them will be at or near bulk pretty quickly. It will not be long before you hear someone groan at opening “another stupid Primal Bounty? !” This is the only weekend where people will be actively trying to get this card; trade it to them accordingly. My exception might — MIGHT — be Scavenging Ooze. This is going to be interesting. 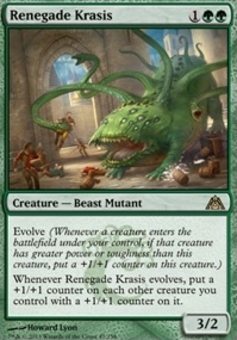 If I had to pick a card to go up in the long term, this would be it, because it seems like it will be good in all three Constructed formats. 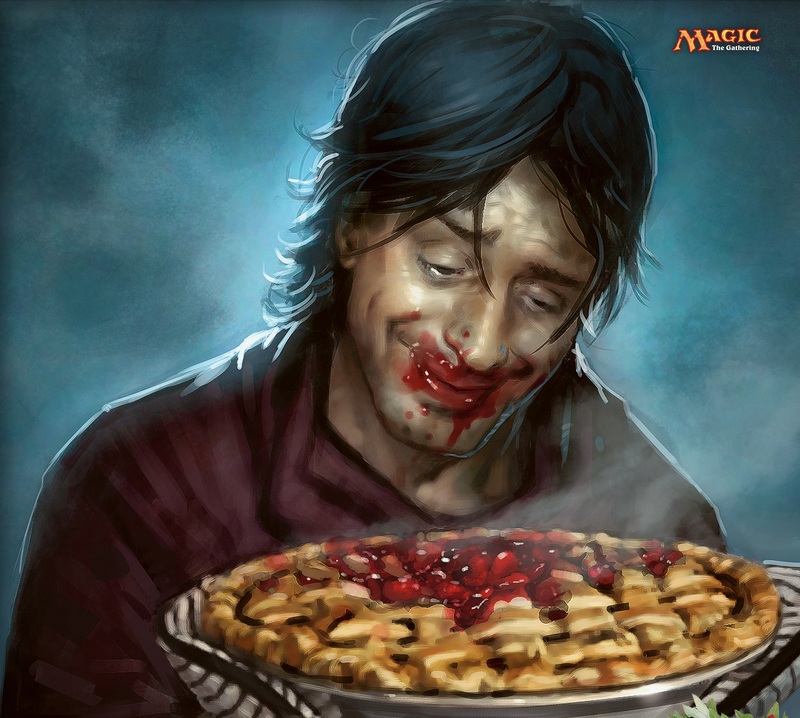 I’m aware that it is a Duels promo, so anyone who wants to buy the game in Steam can get a foil of this for $10. I’d still be willing to trade it away this weekend, though. If you want to keep the sweet foils you open, do so, and I understand completely the urge to GET IT NOW WOW!! But you’re now making the informed choice to keep it, when you could sell at the probable top of the market. I jumped at the chance to trade for a foil Aurelia, the Warleader at the Gatecrash Prerelease, and I got it plus a regular for my Polluted Delta. 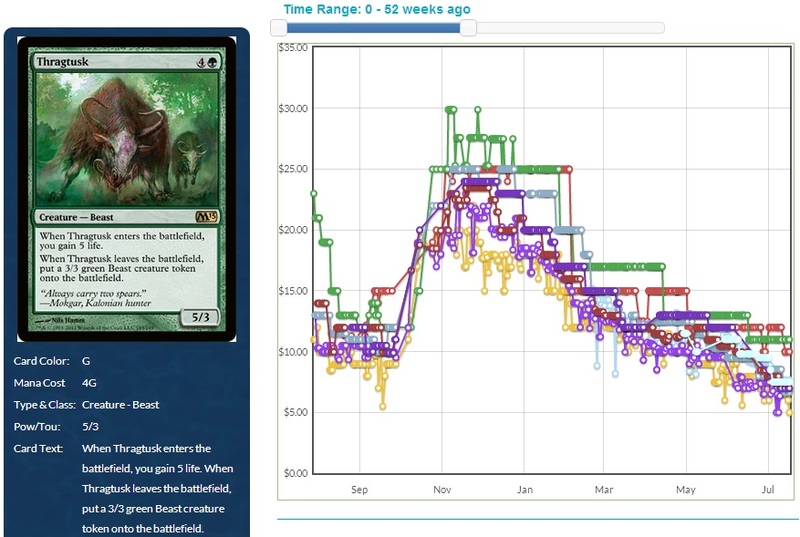 Let me leave you with the graphs of those cards, and I’ll let you decide which side you want to be on, just a couple of months later. Aurelia, the Warleader. Foil. Jan – June 2013. Aurelia, the Warleader. Non-foil. Jan – June 2013. Polluted Delta. Non-foil. Jan – June 2013.